It’s been more than a month since PMP Exam changed (Jan 12, 2016). But Project Management Institute (PMI) is yet to update the PMP Handbook to reflect the changes. Apart from this, the handbook has other glaring errors, which can mislead or confuse PMP aspirants. Such errors are unpardonable given the popularity of PMP Certification across the globe and the multi-billion dollar industry around it. 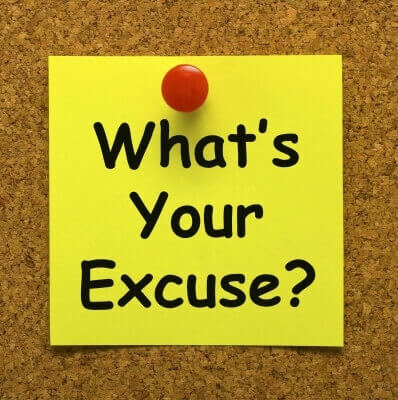 Through this short post, I aim to raise awareness among the PMP aspirants about the out-of-date portions of the PMP Handbook and nudge PMI out of slumber and get its act together. @BrainBOK Thanks! We forwarded to our standards team. As of this writing, the PMP Handbook linked on PMI's official Project Management Professional Certification page was last updated on Dec 7, 2015. The PMP Exam changed on Jan 12, 2016 to align with PMP Exam Content Outline, June 2015. It's been 33 days and still counting since the Handbook has been out of date. In the latest content outline, the domain-wise distribution of exam questions changed (Executing - 31%, Closing - 7%), but the Handbook is still reflecting the old distribution (Executing - 30%, Closing - 8%). The Handbook still reflects the link to the old Aug 2011 version of the PMP Exam Content Outline. The PMP Exam Content Outline is the official specification or blueprint for the PMP exam. Wouldn't it be grossly misleading to any one who is considering applying for PMP Certification to refer to the older specs for the exam? Thankfully though, the official Project Management Professional Certification page is reflecting the correct link to the Content Outline. The application processing timeline depends on how you submit your application - either online using the certification system, or on paper sent by postal mail to PMI. This is also inaccurate and can be confusing to anyone considering to apply through paper-based application form. 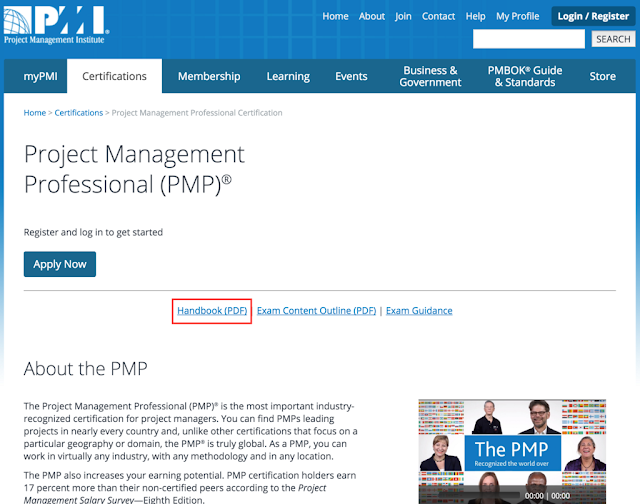 Given the world-wide recognition and popularity of the PMP Certification, shouldn’t the Handbook be updated on the same day as the exam? In fact, I would go further and say that Handbook should be updated much in advance. PMI should have maintained 2 copies of the Handbook - one for those taking the old exam, and one for those taking the new exam. Given that about 50,000+ people take the PMP Exam every year, PMI earns in excess of $30m from the PMP Certification fee alone. So, what’s the excuse for the laxity? I have sent a message to PMI on Facebook and Twitter. I don’t expect them to reply to a small fish like me, but I hope they’ll take notice and raise their game in future. If you are preparing for or considering applying for the PMP Certification, be aware that the PMP Handbook is stale. Refer to PMP Exam Content Outline, June 2015 for the latest PMP Exam specifications. Finally, PMI has updated the PMP handbook on Mar 15, 2016 exactly one month after this post was originally published (Feb 15, 2016). I see that it was updated again on 1 August 2017. I agree with you on having two versions of the handbook whenever a new exam pattern is announced. These two will be active between the announcement and the new exam pattern effective date (This period is often 6-8 months! So much for planning). They can remove the old version once the new exam pattern is effective. Your last edit is indicating July 2017 but the end of the article is showing edited in Mar 2016? The issue was resolved in Mar 2016. The July 2017 date is when the post was updated, perhaps for some formatting changes. I’ve changed that date back to Mar 2016 to remove the confusion.